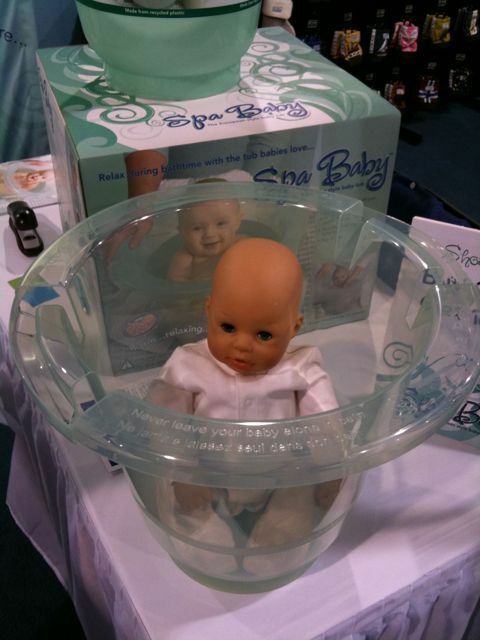 Spa Baby European-style baby tub let’s you large baby in a natural way for the baby. Covers the baby with water rather than allowing baby to get cold while water is spread over baby. $45 for translucent and new Eco version made out of recycled plastic. Features fill line to control water level for baby. I was skeptical about this category but after seeing this and Tummy Tub, this looks like a better alternative to the horizontal bath tub.